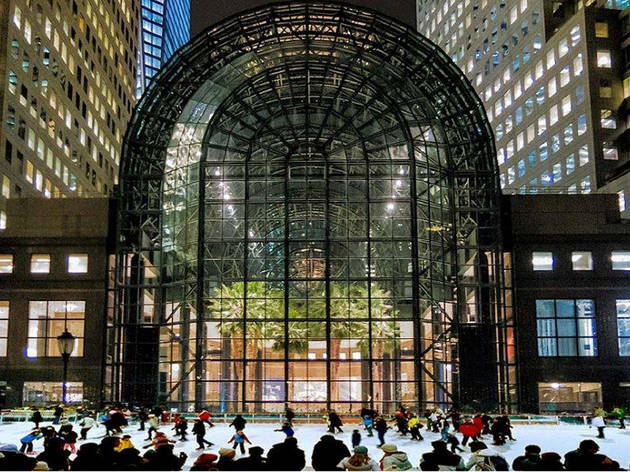 Located on the plaza in front of the erstwhile World Financial Center Winter Garden (it's now called Brookfield Place Winter Garden), this rink brings a much-needed cold-weather option to the seasonally popular outdoor spot overlooking the North Cove Marina. 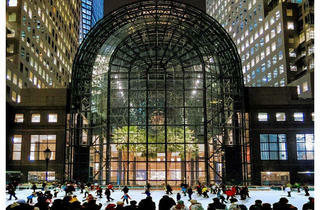 At 7,350 square feet, it's even bigger than the Rink at Rockefeller Plaza. New this season, the rink offer Learn to Skate classes with Olympic medal–winning husband-and-wife team, Melissa Gregory and Denis Petukhov. The ice-dancing pros will lead Intro to Basics lessons and Parent & Me classes throughout the season. Ice-hockey lessons are on offer too, in case your crew's in need of a little coaching.